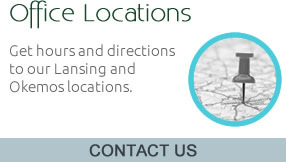 Lansing chiropractors, Dr. Denise Rassel and Dr. Jean-Guy Daigneault are committed to helping the community live healthier, more satisfying lives through chiropractic care and nutritional coaching. 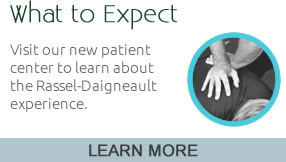 “At Rassel-Daigneault Family Chiropractic, we truly care about our patients, and we’re going to do our best to help them on their journey toward better health,” says Dr. Denise. 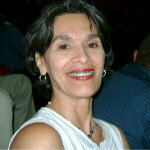 Dr. Denise and Dr. Jean-Guy especially take great delight in helping children heal and stay healthy. “Keeping children healthy is especially close to our hearts since more and more children are challenged with autism, allergies and diabetes,” says Dr. Denise. The doctors find it satisfying to see positive health changes in children who have been suffering from maladies such as migraines or ear infections. Named the community’s favorite chiropractor for years, Rassel-Daigneault Family Chiropractic loves helping people enjoy optimal health. We frequently conduct classes that are aimed at educating patients about various health topics. Ready to embark on a journey toward better health? Call (517) 336-8880 and let’s get started. Dr. Ashley was wonderful and very patient with both my husband and myself. I was very pleased with my appointment and experience. The staff was very professional and thorough. I am so excited to belong to this new “family”. Everyone in the practice has been so helpful and they all treat me like a part of their family. Everyone genuinely seems to care about me & my health!! Dr Jean Guy is a gift to this community. We are so blessed to have a wonderful resource for optimizing wellness in our lives and in this community. I am looking forward to my treatment both with chiropractic adjustments and nutrition. Many thanks for all you do! I know I will need additional adjustments to continue my care but I have to say that even after one adjustment, I finally slept with no pain all night. 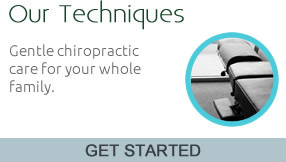 I feel confident that coming to your practice will help me improve my health. The staff were all wonderfully helpful and kind, and someone even made sure I made it to my car ok since it was dark out when I left. Dr. Denise and staff are awesome!! I was incredibly impressed with how thorough and extensive my first visit was. Dr. Randy was so kind and attentive. I love this place, they make you feel welcomed and just like part of the family. They really do care about your overall health. Very satisfied! Best chiropractic appointment I’ve ever been to! Everyone at the Okemos office is wonderful and extremely helpful. Great visit! I learned so much from Dr. Daigneault! Such a great atmosphere to learn and heal. You are my new heroes for your dedication to your mission and your overall complementary services (chiropractic, massage, nutrition, supplementation, strength training). One stop shopping! PLUS, I’m very glad that you include belief in GOD, our creator, as an integral part of your practice. We love you guys! We are so grateful you offer all your services!!! Professionalism of the staff was excellent. They were polite, very friendly, and courteous. You could tell they really cared about you. The Doctors took their time to explain exactly what to expect during my appointment and at my next consultation. I definitely felt that I, was listened to and heard. I especially liked that this health care practice worked as a team to take care of my medical needs. Instead of just a patient, they made me feel part of that team. I was given several opportunities to ask questions and didn’t feel rushed. The experience was above and beyond positive. Was extremely impressed with my first visit. Would recommend to friends and family who want to improve the quality of their life. Everyone is so friendly and genuinely wants to help you. Wish I’d known how great the practice was sooner. Definitely a “Family Practice”! It is very clear each team member really does care about the health of their customer. This practice is about whole life health,…coupled with care for the “bumps in the road” all of us experience. Looks like a great staff that really cares. You have a wonderful staff. Everyone is so friendly, welcoming, and helpful. It’s very apparent that the doctors take their time with each patient and provide individualized care. A great place and friendly staff!! You can’t find better service. The staff is very friendly and helpful. They are able to answer all my questions and concerns. I thank the Lord for people like you, because I can tell you really care. I felt very comfortable and the environment was inviting. I would definitely recommend this place! The friendliness and sincere compassion of your staff is really refreshing. The fact that you have digital x-ray equipment and all your custom computer software really shows the dedication and commitment of your practice. Everyone was very nice and helpful! I was welcomed by friendly and efficient staff, and it just felt comfortable to me. I feel much better after just my first visit!! I love how I’m treated by the whole staff. Always a smile on everyone’s face. I would highly recommend this office. Very kind staff, friendly and welcoming.